Of course the Indian government’s request to the UAE for the extradition of Christian Michel has to be understood in the context of India’s collaboration with the UAE in the kidnapping of Sheikha Latifa Al Maktoum. What we are seeing is a trend between the two countries to dismiss international legal norms and protocols, and to instead engage in the politics of favours. Indian officials are in the UAE to negotiate the extradition of Mr. Michel, while extradition is supposed to be a matter for the courts, not the work of diplomats. But, you see, the UAE enlisted the help of India to capture the escaped daughter of Sheikh Mohammed, the ruler of Dubai, last March. India defied international law, the government has been severely scandalized by the Indian Coast Guard raid on Latifa’s boat, and India is facing questions at the United Nations over their involvement. All of this has earned India enough political capital with the UAE that they can bypass normal legal processes. 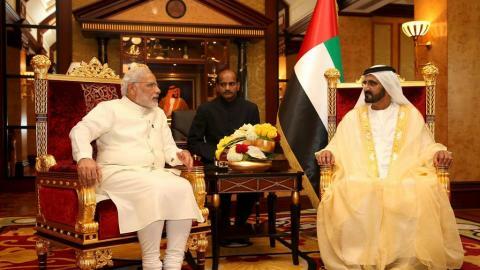 After all, Prime Minister Modi did not insist that the UAE adhere to standard extradition procedures when Sheikh Mohammed wanted his daughter forced back to the country; it would seem that India now feels entitled to reciprocal treatment when they want someone from the UAE. 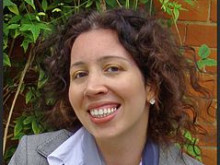 Radha Stirling, CEO of Detained in Dubai who is representing Princess Latifa, said “When Prime Minister Modi’s government justified their illegal involvement in the abduction of Princess Latifa, the rationale given was that it was in the national interest of India to cooperate. Well, hundreds of Indian nationals are wrongly jailed in the UAE, and hundreds of thousands more suffer abhorrent conditions in labour camps, in unsafe working conditions, and struggle to survive as employers confiscate their passports and often refuse to pay their wages; yet the Indian government chooses to send officials to the UAE over an extradition request, instead of using their new political capital to improve the lives of Indian expats”. The team at Detained in Dubai and Toby Cadman of Guernica International Justice Chambers are currently pursuing legal actions against both India and the UAE and are assisting the United Nations and enforcement agencies in their pursuit of this matter. Mr Cadman told Albawaba “The whereabouts of Sheikha Latifa is currently unknown, however, it is believed that she is in the custody of the UAE authorities, detained against her will. As a consequence, she is subject to Enforced or Involuntary Disappearance”, a disappearance India is jointly responsible for. David Haigh, Partner at Detained in Dubai said “The Modi administration must be held accountable for their actions in the case of Princess Latifa. They assisted the UAE to forcibly return a young woman who specifically told her Indian assailants that she was seeking asylum from torture and abuse. She told them she would rather die than be sent back to the UAE and she has not been heard of since. This act has seriously damaged India’s reputation in the area of human rights”. Ms Stirling concluded “It is extremely concerning to see both the UAE and India acting extrajudicially, without any regard for laws, whether international or local and to the extent of attacking a US yacht at sea. This kind of rogue behaviour leads to the deprivation of human rights for world citizens and is a dangerous precedent to set if it goes unchallenged. India still remains a slave-holder, slave trade country. For the satisfaction of it's few upper class or upper caste people, Indian rulers will do anything, they may even sell the country to foreigners. Prior to publication, it must be approved by Detained In Dubai. Detained in Dubai calls upon the Indian government to investigate the disappearance of American registered yacht carrying Dubai princess and American and Finnish citizens as possible act of piracy, now missing for two weeks without investigation! UK NGO ‘Detained in Dubai’, on behalf of clients Sheikha Latifa and Herve Jaubert, announces UNITED NATIONS COMPLAINT requesting urgent and immediate intervention. American Jean-Pierre Hervé Jaubert missing from US registered vessel off coast of India as attempt to help Dubai Sheikha escape ends with “distress call” & reported gunshots. Indian intelligence claims “Latifa is alive and has been taken back to Dubai” 3 Missing persons including Florida resident, author and ex French intelligence agent, Hervé Jaubert - last heard from off the coast of India.